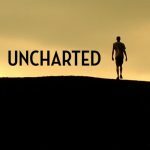 We are a group of explorers that were frustrated with the insane difficulty of finding essential information and resources for exploring the world’s off-the-beaten-path locations and activities so we founded Uncharted. We exist to help you more easily explore whatever is uncharted to you. Our team speaks the following languages: English, Spanish, Portuguese, Chinese. While we plan on going everywhere eventually, our focus right now is on our own backyards ranging from the eastern United States to the Rocky Mountains. Our team has lived, worked in, and traveled to a number of locations and we’re ready to help you figure out how best to explore them: Argentina, Brazil, China, India, Mexico, Chile, Costa Rica, and Nicaragua, to name a few. We have experts in photography, map reading, land navigation, horseback riding, snowmobiling, and writing. We can never agree on this. We want to help less fortunate people have opportunities to explore the world, bring better infrastructure for food and water to less fortunate parts of the world, and create opportunities for people to come together focused on making the world a better place.